Northwest legend Jon Koonce has truly made his mark on the local music scene. 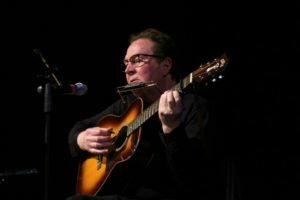 Leading bands such as Johnny and the Distractions, The Gas Hogs and The Honky Tonk Trio, this singer-songwriter guitarist has a new recording, The Lost Cause, and will be holding a special release party at The Mission Theater on Saturday, February 4. The new disc is filled with stomps, twangs and rages through tales of love, lust, trailer parks, truck stops, demons and dogs. Koonce also introduces lap steel, humor and blues harp into a vintage live and loud production, a result of twenty-five years of tearin’ it up in hootch parlors has left a mark of realism. The Mission Theater is located at 1624 NW Glisan Street. This 21 & over only event will begin at 8:00 pm, with tickets available through etix.com for $10.00 advance, or $12.00 day of show at the door.